Billboard is music’s most powerful brand. From its award-winning website to its iconic, authoritative weekly publication, Billboard content is consumed by millions of people in more than 100 countries. Billboard and its popular music charts are the primary source of information on trends and innovation in music. California Copyright Conference members receive an exclusive association discount. Click here to take advantage of this exclusive offer today. 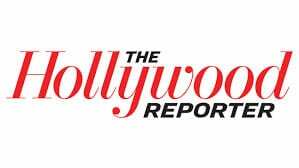 The Hollywood Reporter is the entertainment industry’s flagship media brand. With in-depth reporting, analysis, unprecedented access, world-class photography and video and feature exclusives, The Hollywood Reporter is the definitive source for breaking entertainment and business news. California Copyright Conference members receive an exclusive association discount.